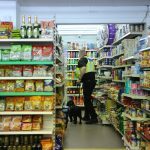 Cigarette packs designed with the world’s ugliest colour and graphic pictures have started to appear on the shelves of shops in Wales six months after the new regulations were passed. In May of this year it became law for all tobacco products – including roll-your-own tobacco pouches and cigarette boxes – to be sold in a ‘standardised’, brown packaging. As shops sell through their previously colourful stock the drab designs are starting to be sold to customers. 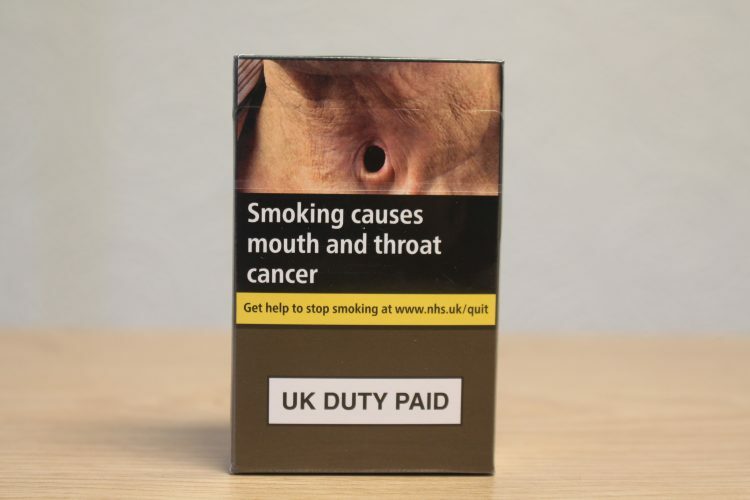 Plain packs are covered in ‘world’s ugliest colour’ known as opaque couché and 65% of every product must be covered in pictorial and text health warnings. In addition to this, no branding is allowed other than the product name in a standardised font and no other trademarks, logos, colour schemes or graphics are permitted. The aim of plain packaging is to make smoking less appealing to children and young people. Packaging was one of the last ways the tobacco industry had of advertising their addictive, cancer-causing products to young people. Research from Australia, who implemented the same plain packaging in 2012, has shown since the change of design consumers perceived their cigarettes to taste worse, be of lower quality and were more likely to ask for help to quit smoking altogether. Tobacco companies fought strongly against law, claiming it would make counterfeiting their products easier. A HMRC investigation concluded there was no evidence to suggest standardised packaging would have an impact on the overall size of the illegal tobacco market. 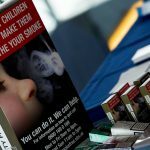 Claims that illegal tobacco trade has increased in Australia were unfounded, data from the Australian Government showed post-implementation.